A furniture exhibition allows you to pick the right furniture and other things to be used at home from one place. 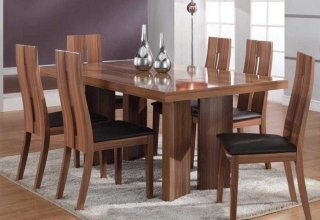 While you can enjoy lots of things from the furniture exhibition fair, you need to ensure that you are safe and cautious to get the right kind of furniture and in the best quality. You will definitely be spoilt for choice with the options available. When the fairs can be of great pros, there are chances that you invest in the wrong choices because of two reasons. One is that you do not know what to select among the wide range of options. Next is that you get the pieces that are not worthy of the money you pay. 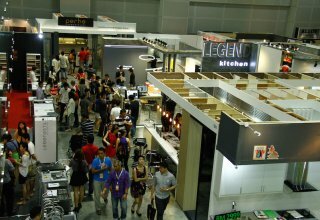 Here are few tips to help you get the best deals out of a furniture exhibition fair. While most exhibitors during a furniture exhibition fair provides a fairly special price just to ensure that people visit their booths and buy from them, it is important to do your price checks at the outlet before heading over to the furniture fair to ensure that you get the best deal out of your purchase. It will not be possible for exhibitors to carry all the pieces of furniture available at their retail outlet to the fair as space is rather limited. Therefore, it is again important to plan in advance by checking the quality of the piece you are keen to purchase before visiting the exhibition fair. By doing so, you will get a better deal in terms of cost and at the same time, find peace of mind knowing that you are making a quality purchase at the fair. It is crucial to check if a warranty comes with the piece of furniture you are intending to purchase from the furniture fair. Exhibitors are usually a friendly bunch interested in closing the sale so there is never any harm asking if the piece comes with a warranty. Most exhibitors will be more than willing to answer the questions you have so just ask away. Expect a crowd at the exhibition and it is easy for things to fall through the cracks when the situation is such. Therefore, it is important to always agree on the terms with the exhibitors and ensure that this is translated into writing. 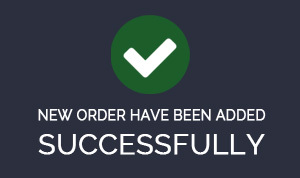 Check your receipt or purchase order before leaving the booth to avoid an unpleasant situation much later. If you’ve done your walkabout before the furniture exhibition fair and already have your eyes set on a particular retailer or brand and so happen on the day of the fair, you are pressed for time. What you can do is to go straight to the retailer you are keen to purchase from, make your purchase and next thing you know, you will have that piece of furniture completing your home. Imagine the horror of sitting on a stone-cold toilet seat early in the morning or worse, in the middle of the night. 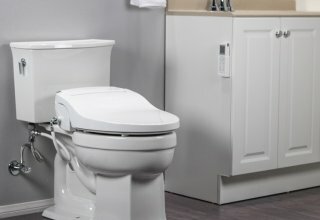 Good quality bidet toilet seats come with heating option to provide you with a nicely warmed seat especially during cold weather. With this feature, you can choose the water temperature that’s comfortable for specific cleansing needs. You can lower the temperature of the water for a cool, refreshing wash on hot days or heat things up a bit when it gets chilly on certain days. Being able to adjust the water temperature is also useful for those have sensitive or inflamed skin. Some of the better quality bidet seats come with a remote control. This means that you don’t have to turn or stretch to make adjustments and run the risk of a sprain. Get one that comes with a remote if you have back problems or have senior folks at home with limited mobility. With the ever-increasing cost of living, it’s a smart move to get a model that comes with an energy savings feature. The seat goes into a sleep mode when not in use thus keeping power usage to a minimum. Though these models may cost slightly higher, you can conserve a considerable amount of money in the long run. This is one feature that allows you to control the strength of the water pressure for your cleaning purposes. It’s best to choose a seat that comes with this feature if you don’t want getting hit in the sensitive regions with water at high pressure. This is especially useful for those who have hemorrhoids or mothers who have just given birth. If you have a family of more than four, it’s ideal to get a bidet toilet seat that has self-cleaning nozzles. The nozzles are automatically rinsed with water before they retract after each use so that no germs or particles are left behind. You may want to consider a bidet toilet seat that has an adjustable nozzle position feature. With this function, you can adjust the nozzle for your specific cleaning needs after you’re done while remaining in your comfortable position. 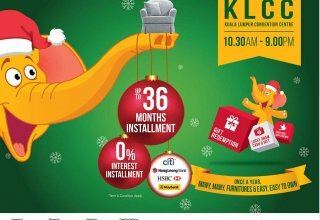 Installment Plans, Gift Redemptions & Lucky Draw from MF3! Grab this back when you spend as low as RM500 in a single receipt. Visitors can also redeem gifts at the redemption counter while stock last with terms & conditions applied for the Spend & Redeem, which worth more than RM200,000. With a minimal spending of RM1000 in a single receipt, visitors is entitled to participate the lucky draw and stand a chance to win the prizes and cash worth more than RM50,000. The decor of the entire room would get changed with just an introduction of a carpet. The luscious feel on the floor and the smooth texture that would be covering the entire floor area is something that is to be seen and felt. Carpets bring about a lot of authenticity to the room, as well as the feeling of luxury would be imbibing upon you. Once you manage to get a carpet into your room, then life would be difficult without it. The use of a carpet is extremely good, and you would be able to enjoy your time spent in that room. The durability of your carpet depends upon the amount of money that you pay to procure one. With a lot of people procuring carpets, there has to be a distinction between the good carpets and the ones which are just used like cheap wallpaper. If the quality of the carpet is good, then it has a very long life, and there would be no wear and tear into it. You should manage the carpet carefully and ensure that it is cleaned properly so that it may always be in a good condition. The design of the carpet would be able to give your room an entirely new look. With various designs and different sizes available in carpets, it should be your prerogative to measure the room and get a carpet of that size. 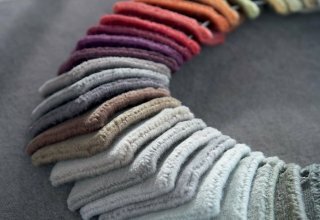 There are a variety of designs that would be available to you, and the price of the carpet would depend upon the design, texture, and the material used for the carpet. If you make the right decision, then you can certainly ensure that your room would remain forever beautiful with just the enhancement of adding a carpet to the entire décor. The requirement of cleanliness is paramount to using carpets. A lot of people have been using carpets in their homes, but they must maintain a very high degree of cleanliness so that the carpets do not get damaged. If the carpets do get damaged, then you would have to spend a fortune in order for you to repair it and restore it back to its original position. After a prolonged use of the carpet, it would start fraying from the sides, and the adhesive would come off. This is a particularly ugly situation for the people who have bought carpets, and they tend to get irritated and spend a lot of money trying to get it back to its previous position. The adhesive that is used should be of good quality, and you need to ensure that the people installing the carpet in your room should be experienced. Giving a brand-new carpet, and that too of a good cost to people who do not know how to install it is tantamount to losing money over the entire process. Make sure that you get the right kind of people to install the carpets in your room. Also, make sure that the carpet does not experience a lot of sunlight. That can have a detrimental effect upon the carpet, and the colour of the car it would start fading after a while. Why Attractive Furnishings is Important for Your House? Furnishings are the furniture, appliances and other movable articles in a home or other building. They are often considered as the accessories that add the final and most vital touches to complete a home. Each article needs another to create a perfect combination, making the space more attractive and turning the ordinary into extraordinary. Furniture is the most essential component when furnishing your home as the right combination of sofa and coffee table, bed frame and dressers, even your dining table and breakfast bar will transform your home into a living paradise. One of the prime contributors in home furnishing is fabric. The texture, colour and character of the fabric add style to and play up the mood of your home besides reflecting your taste. Fabric application in curtains, upholstery, bed linen and rugs can liven up the ambience of your home tremendously. Besides enhancing the ambience of your home, the many options of lighting can embellish your living space. For instance, a fine table lamp can add a touch of elegance to your study table while placing a floor lamp next to your armchair creates the perfect corner for reading. A decorative accessory not only creates a stylish living environment but also expresses your personal style in your home. You’ll be amazed how a wall decor or wall art can instantly heighten your living space. Other decorative accessories such as vases, candles and candle holders and mirrors can create that warm, cosy space you can’t wait to come home to. Bathroom Floor Tile. Which Is Best for You? Offers a clean and classic look that is also extremely durable, waterproof, and stain-resistant. While ceramic tile is one of the most popular flooring options for bathroom, it can also be rather slippery to the feet. 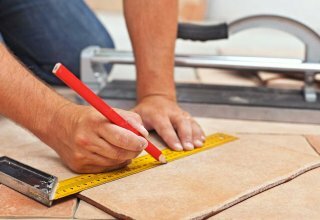 To avoid slip-and-fall accidents in the bathroom, best to choose a tile that is certified slip-resistant. Vinyl is easy to clean, waterproof, and stain-proof and also known as one of the most budget-friendly floorings available. While it is possible for water to seep under, choosing a top-quality sheet vinyl will help mitigate the risk by reducing the seams. If a warm and classic look is what you are looking for, hardwood floors should be your choice of bathroom flooring. While engineered wood resists humidity better than solid wood and is a smart choice in a damp space, when considering wood in general, know that water doesn’t play well with these materials. Just one big water-line leak can cause serious and expensive damage to your flooring. While cork is resistant to mold and mildew and is water resistant, which makes it perfect for a bathroom, it is also environmental friendly. A polyurethane topcoat will protect the floors from minor spills therefore, it is important that the floor be resealed every few years to protect against moisture. 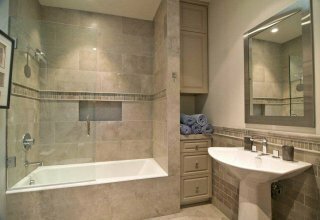 Glue-down tiles, which come finished or unfinished, are perfect for above-grade applications, but click-in-place planks should be used for below-grade bathrooms. To prevent water seeping between gaps, it’s best to choose unfinished cork and finish the floor on-site. 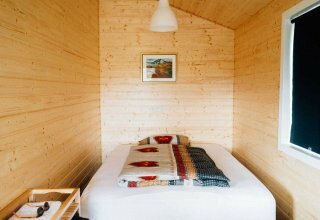 Bamboo is eco-friendly and also easy on the budget, costing as little as half the price of hardwood floors. In the bathroom, the smart choice is engineered bamboo rather than solid bamboo because the planks are extremely durable and ideal for wet environments. They are also simple to install and damaged pieces can be replaced easily. With almost a thousand colors and sizes to choose from, getting the right tiles for your home can be a rather daunting task. You can however, follow the tips given below to make the task a lot easier and eventually, even making your kitchen and bathroom look a lot classier. Lighter colors will make the space look bigger and brighter while darker colors will provide you with the opposite effect. However, if your choice is darker color tiles, you can always brighten the place with proper lighting. Colors will inevitably create unique effects, so be adventurous and use personal preference and style as a guide while choosing the tiles for your home. Both porcelain and ceramic tiles can be used for the kitchen and bathroom so it is up to individual preference. It is however, important to ensure that the floor tile rating or better known as PEI is suitable for your intended use. PEI (Porcelain Enamel Institute) is a scale used on porcelain and ceramic tile to indicate the areas of use each manufacturer recommends and has designed their tile to fit based on foot traffic. Class 0 meant for areas with no foot traffic and it gradually increases all the way to Class 5 for heavy traffic. For porcelain and ceramic tile for your kitchen and bathroom, best is to go with Class 2 to 3 meant for light to moderate traffic. For bathroom tiles, it is important to ensure that it is slip-proof. Always purchase more tiles than you actually need to compensate for breakages during installation. Especially so for those design whereby stocks are limited. You do not want to be in a situation whereby you do not have enough to have the entire place tiled and the worse nightmare of not being able to get more due to stock issues. It is important to get tips on how to maintain the tiles during purchase to ensure the tiles continue looking new even after years of use.